Holiday shopping season is a fun time of year for a company like Daily Grommet. The Lexington, MA-based Web startup finds unusual consumer products and tells a story about one such “grommet” each day through videos and text. This week I touched base with founder and CEO Jules Pieri, who shared some info with me on the top-selling grommets of the season so far. As someone who hates holiday commercialism, but likes warm puppies and weird gadgets as much as the next guy, I found the range of items available on the site pretty enlightening. So in case you’re looking for an unusual-yet-personal gift for that special someone, you might want to browse around the Daily Grommet site, which includes product categories like home, food & drink, health & wellness, and green & eco-living. Sounds pretty standard, but the products you’ll find there are anything but. 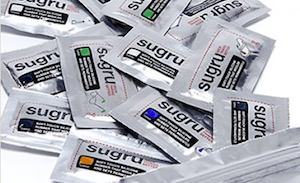 —Sugru, a kind of hacking putty for real-world stuff (“fastest Grommet out of the gate, in history,” Pieri says). —Urban Cheesecraft, which sounds like slang or euphemism but is actually just a handy cheese-making kit. —Soggy Doggy, a super-absorbent doormat/shammy for dogs. —Picture Keeper, an elegant way to grab and store photo libraries from your computer. —Ila Security, a small, portable security-alarm device, like a personal panic button (good for long board meetings). —Drawer Décor, a custom drawer organizer for kitchen supplies and other goods (mundane but useful if you don’t like clutter). Good luck with the shopping, readers. I’ll probably see you online.